A plastic replica of a jet engine printed and built by David Sheffler’s class. The jet engine was a technological wonder of the 20th century. In the 21st, college students can make one with a printer. This spring, engineering professor David Sheffler’s class built a one-quarter-size replica of a Rolls-Royce jet engine with a 3D printer that fabricated parts from plastic. The printer created parts accurate to 100th of an inch, nearly the level of precision necessary for a real jet engine. 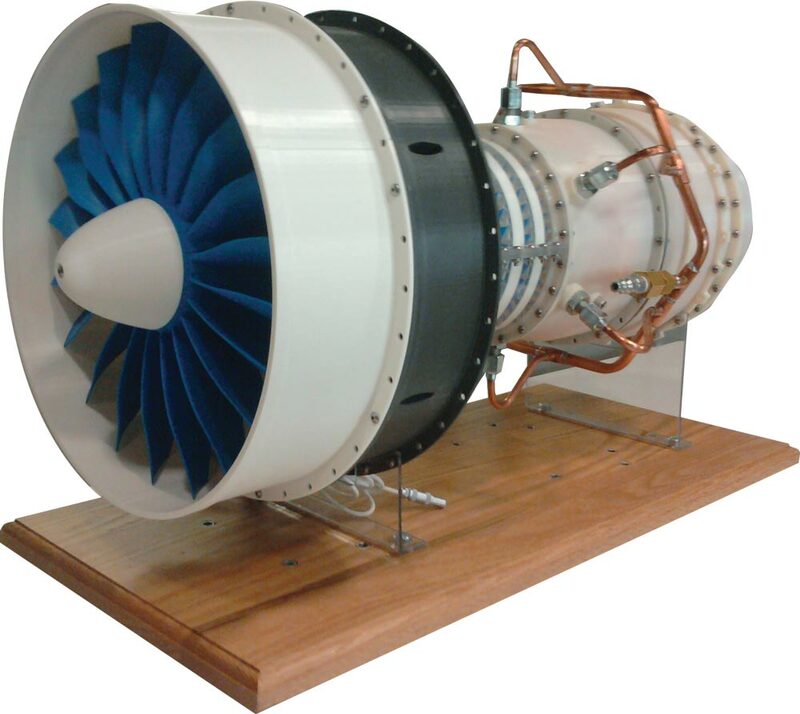 A full-size Rolls-Royce AE3007 turbofan jet engine costs approximately two million dollars. The replica? Only $1,500 for plastic and another $300 for metal bearings, nuts and bolts. Of course, the engine won’t be used to fly anywhere. Firing the jet engine would melt its plastic parts into a blazing puddle. Also, it doesn’t produce the 8,000 pounds of thrust that its titanium and nickel-cobalt counterpart does. But, using compressed air rather than jet fuel, the replica runs at the same idle speed as a real engine. “We put a strobe light up to it, and the core was spinning 1,500 to 2,000 rpm,” Sheffler told Popular Mechanics. A 3D printer fabricates a three-dimensional object by printing a series of cross-sectional slices layer by layer. It can print objects made of many materials with different mechanical and physical properties in a single process. To make the parts of the replica engine, Sheffler’s students refined the computer-aided design files—which contained information about those cross-sectional slices. Then the class spent more than 150 hours assembling the printed pieces. UVA engineering classes won’t start competing with Rolls-Royce to make engines for the U.S. Air Force’s Unmanned Aerial Vehicles. But now they know firsthand how a jet engine works and how to use a 3D printer—for which the possibilities are practically endless.